Funeral for Frances Atwood, 61, of Paradise, was Tuesday, Sept. 11, at Central Fellowship Church in Decatur. The Rev. Monty Tuttle officiated. Graveside service followed at Tuscola Cemetery in Tuscola. Atwood died Friday, Sept. 7, 2007. Frances was born on May 13, 1946, in Abilene to Everett and Marie Grant. She was a devoted Christian, mother, wife and 'Nanny.' She and her husband James Atwood have been members of Central Fellowhip Church in Decatur for nine years. 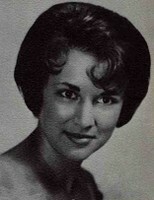 She is survived by husband of 43 years, James, of Paradise; daughter Brooke White and husband Tommy of Justin; two sons, Kevin Atwood and wife Heather of Longmont, Colo., and Mark Atwood and wife Jamie of Justin; her mother, Marie Grant-Hamon; one brother, Gary Grant; nine grandchildren, Mackenzie, Tommy, Colby, Braeden, Emily, Olivia, Will, JaCoby and Madison; and numerous nieces and nephews. Pallbearers included Erik Nelsen, Danny Sisco, Troy Timms, Lance Washburn, Ross Bennett and Steve Bennett. I attended Jim Ned High School with Francis. She was such a sweet person. So sorry to see her go to soon!! My thoughts and prayers are with James and their family.